The best thing I’ve ever done is to organize Christmas Dinners for Care Leavers between the ages of 16 and 30. This year I’ve created a HOW TO GUIDE which you can DOWNLOAD HERE. Itl shows how rigorous we are in every detail of The Christmas Dinner and how you can do it too. This year The Christmas Dinner will be in Leeds, East London & Manchester. I will be at all the meetings. We need people with a can do, pr oblem solving, attitude. 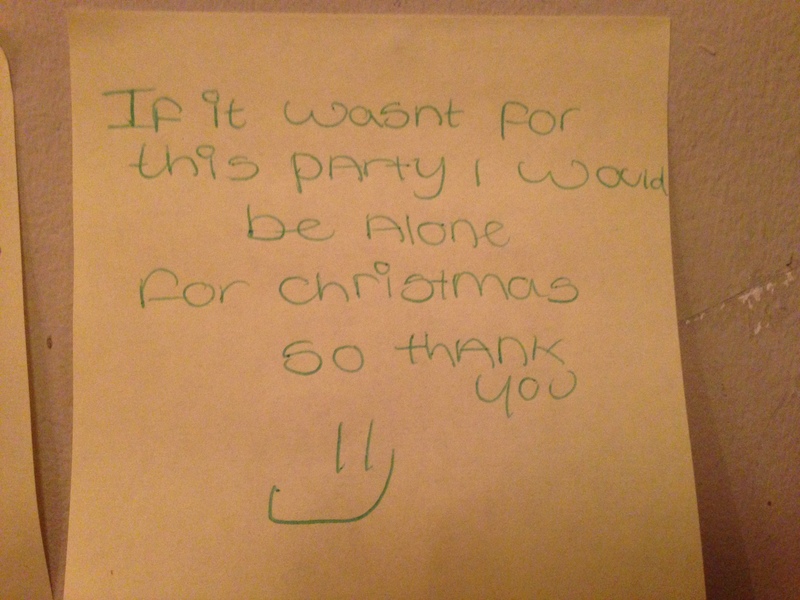 People are the greatest resource of The Christmas Dinners. For the Manchester Christmas Dinner the next meeting is on 20th October at 1pm at The key 103 offices in Castlefield, Castle Quay, Castlefield, Manchester, M15 4PR. Ask any questions about this in the comments under this blog. The Christmas Dinner is voluntary. The community is caring for the care leaver. And we know that Christmas Day can be the worst of all days for them. All moneys go to the dinner. No admin costs. No worker costs. No institution building and yet rigorous attention to detail (Have a look at the how to guide) and no less than one hundred years experience of professional qualification of working professionally with young people on each steering group. Each area makes it happen by the community for the community. Now for the money part. A contingency of five thousand pounds for each dinner is vital. This year we are aiming to raise thirty thousand pounds so that we don’t have to fundraise each year. We will be starting a crowdfunding campaign soon. But you can help us now by donating to The Christmas dinner at The Cooperative Bank, Sort Code 08 92 99, Account number 65741757. Thanks so much for your time. Christmas may feel a million years away but we are creating memories. And that takes time and energy. This entry was posted in Main Page, The Christmas Dinner and tagged CORAM, Edward Timpson MP, Hackney Childrens Services, hackney Christmas Dinner, Leeds Childrens Services, Leeds Christmas Dinner, Linda Lines, Manchester Childrens Services, Manchester Christmas Dinner, TACT by Lemn Sissay. Bookmark the permalink. When I lived in Manchester, I always had his vision of having Christmas dinner project for Refugees that would arrive in a community and provide for individuals or families that were isolated. I had this idea of utilising media catering i.e. Facilities to move around a feed people at a fixed location. 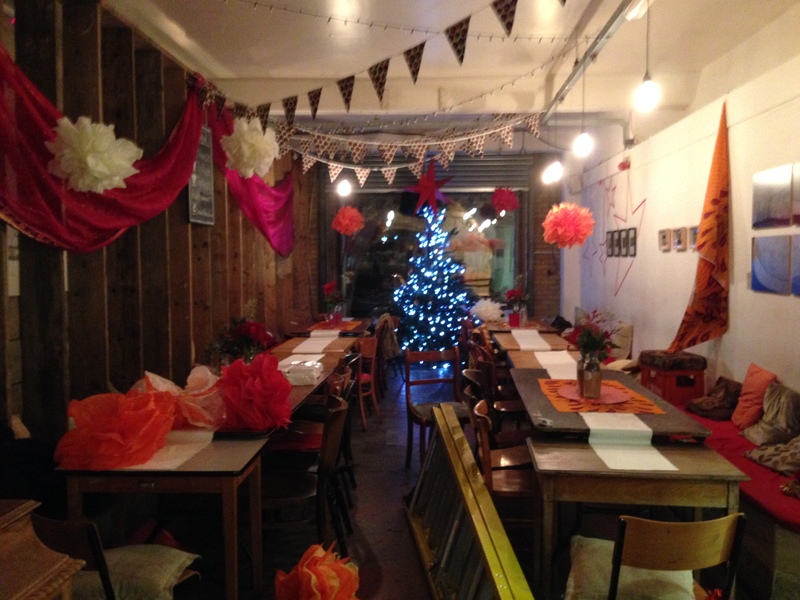 I love the idea of Christmas dinner for care leavers! Really want to be involved in London event this year. Pleas would it be possto ensure that future meetings are at a wheelchair accessible venue. I wil take this to the next meeting which isn’t wheelchair accessible. We will try and get it at an accessible venue for the next meting. I don’t finish work until 2pm on the 20th October but would like to come along to the meeting in Manchester. Would that be OK or will it disrupt things? Lemn I am nowhere near any of the venues but we will donate gladly, I remember you as a young boy in Atherton in care in I think the mid 80s. I love what you are doing for care leavers. That is so kind. Thnakyou. Thankyou. Thankyou. My husband and I are really keen to volunteer for the Manchester event but are not going to be able to make the meeting on Tuesday. I hope to make it to the next meeting though – I think this is such a great idea! I haven’t been involved before but can made decent Christmas cakes, mince pies and puddings etc. and would like to contribute in some way. Am based in E17 so could drop stuff to your East London dinner if you need this sort of Christmas food. I will be at the meeting In Manchester on Tuesday to support you and the team – with a view to being considered to spend Christmas Day helping in any way I can.